Plus One Gallery is pleased to present a solo show of work by Tim Richards. On opening night of the exhibition, several new works will be launched including The Flatiron building, The Lloyds Building and The Euston Arch. 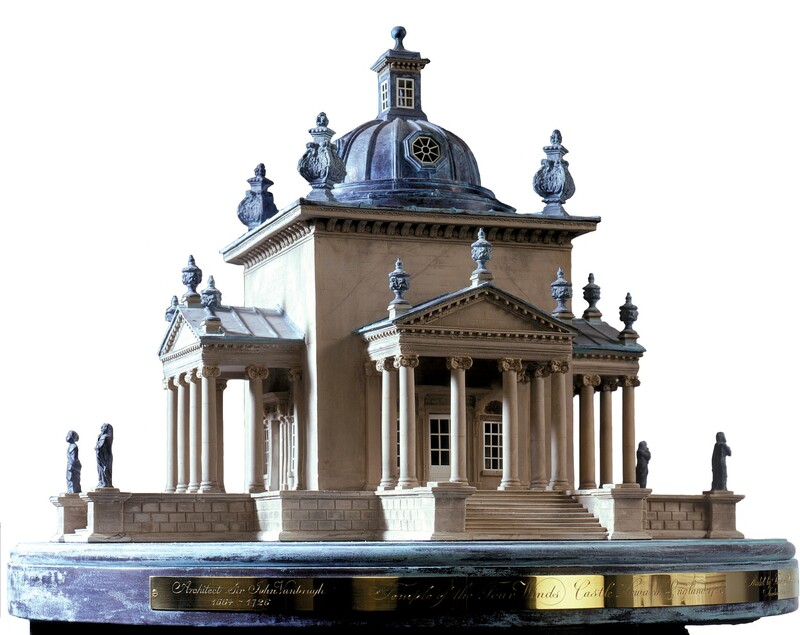 Richards makes models cast in plaster, a tradition which originated in the 18th century. His highly detailed process involves the making of masters and the casting of final models from moulds. Although the work is labour intensive, the models produced are of unique beauty and simplistic substance; a direct transmission from the original building. Upon entering the gallery you are confronted by 20 large plaster architectural models standing singly on 4ft high plinths. One side of the avenue consists of a line of stone coloured models, whilst on the other stands an identical set cast in blue. One might ask, 'Why the blue buildings?' As Richard explains, "In the stone we do not see form so much as history. We do not see beauty, we see nostalgia. The blue forces us to consider the form without sentiment; the stripping back of an aesthetic. The blue takes the buildings out of time." Modern and Classical architecture has always interested and enthused Richards and drive the didactic at the heart of his work; the use of models to inform, teach and inspire as well as question the way we see and use architecture. Over 21 years, Tim Richards has built an international reputation. He has been commissioned by four governments, three universities, many banks, schools and cultural organizations a well as numerous private individuals. 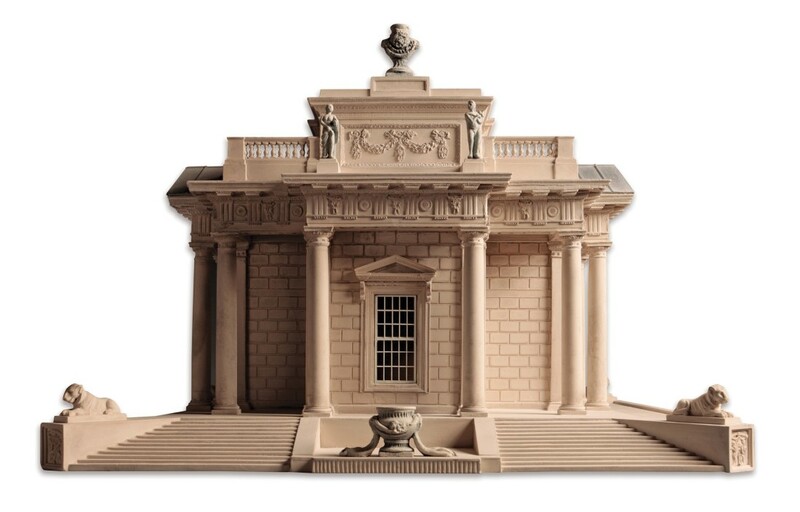 He is currently engaged in making models to illustrate Palladio's drawings and influence on American architecture with the RIBA for an exhibit to be held in New York next spring. Tim Richards lives and works in Bath where he employs 10 craftsmen at his workshop.